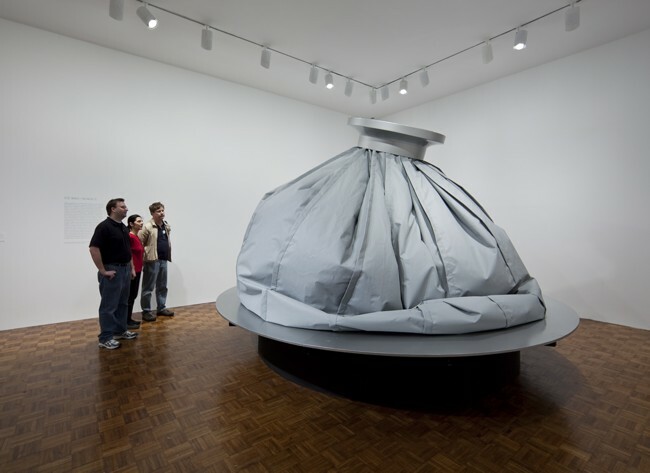 Centered around the artist’s newly restored Ice Bag – Scale C (1971) — it inflates! it slumps! it rotates! — Claes Oldenburg: Early Sculpture, Drawings, and Happenings Films (through Sept. 8) is drawn primarily from the Whitney permanent collection. 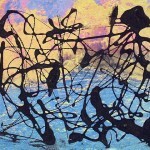 Occasioned by the dire economics of the moment, this is one of those exhibitions that proves necessity can be inspiring. Who knew that the Whitney owned so many tasty Oldenburgs? We love the absurdity of the Giant BLT (1963), French Fries and Ketchup (1963), and of course the Ice Bag is a hoot. The squeaky-clean musical-instrument collaborations between Oldenburg and his late wife Coosje van Bruggen (“The Music Room”) are offset by a small collection of messy items from Oldenburg’s project/environment The Store (1961), of which the painted-plaster Half Cheesecake, Potato Chips, and Pile of Toast are standouts. Oldenburg’s drawings — post 1965 — are too commercial and too academic. Maybe that’s the joke. The same can be said for the most of the monuments. A giant fire plug is fun only once. And a drainpipe not even once. But wouldn’t an exhibition focused just on Oldenburg’s food sculptures be wonderful to see? Also fully restored are a collection of films that give us glimpses of Oldenburg’s legendary Happenings. Allan Kaprow may have been the first Happenings guy, but Oldenburg and many others – such as Jim Dine, Red Grooms and Al Hansen — also joined the fun. Although it is wonderful that these historic films have been saved and brought back to life, they are also reminders of how messy and unstructured Happenings tended to be, with one foot in Action Painting and the other in farce. Because the footage has been shot and then chopped up and edited by various filmmaker/artists — Stan VanDerBeek being the most famous — to make artworks of their own, there is no sense of what real time came into play. We get a mélange of images, actions, and guest appearances by Carolee Schneemann, Lucas Samaras, and Henry Geldzahler, but an understanding of the Happenings form (or lack of form) is not helped by the seven-screen presentation of seven different films simultaneously. We are reminded why Performances (as perfected in the late 1960s by Vito Acconci, Scott Burton, Marjorie Strider, Hannah Weiner, and the founder of Artopia) were not Happenings, but much more conceptual presentations, reacting against Happenings. Nevertheless, noting down the address from Oldenburg’s poster that advertised The Store, I forthwith made a pilgrimage to 107 East 2nd Street, now looking curiously like a vintage tenement, with bars on the ground floor windows…. There are too many as yet undesignated Art Shrines in New York City. Artopia hereby recognizes 107 East 2nd Street, the site of Claes Oldenburg’s 1961 The Store, as the first official Art Shrine. Monies are now being sought for a bronze plaque that will eventually be put into place announcing this fact. Certainly the site of the Judson Gallery in the basement of Judson Church in the Village Proper, as opposed to the East Village (the Village Improper), will also be considered, since it was the venue for many now-famous Happenings and Ralph Ortiz’s Destruction Art chicken decapitation. 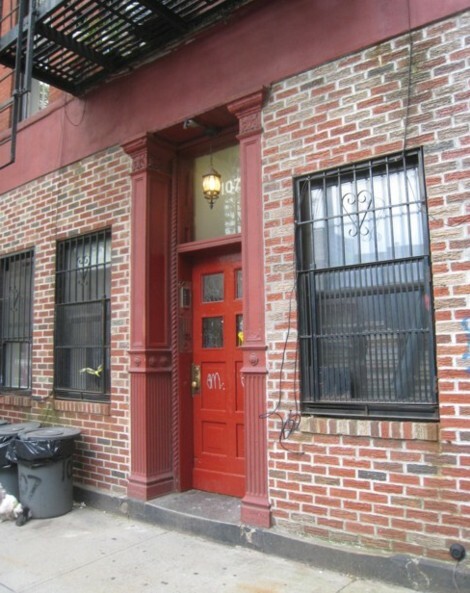 We are also looking into 111 St. Mark’s Place, the site of the One-Eleven Gallery, where in 1961 ­­– a seminal year — Artopia founder John Perreault had his first art exhibition. It was also the site of a Happening by Al Hansen. Nominations for additional Art Shrines are now being accepted. ‘The Pictures Generation’ at the Met, Friday, May 22. Art Strike Announced, Tuesday, May 26.